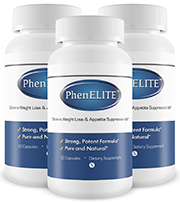 ﻿ PhenELITE Pills Review: Is it Safe? Still hype alone will not produce weight loss results, what is required is a good ingredient profile and customer support to really demand a purchase. Right here you can compare the value of this product alongside other highly rated weight loss products. It would have been ideal if the company gave their own explanation of the ingredients. However there are quite a few mixed ingredients added here. There is both grapefruit powder and kelp which both are full of nutrients such as vitamin C and other antioxidant properties. Kelp has B vitamins for metabolism and iodine which can help a thyroid, but can also drastically alter it to a negative pull if overexposed. It is unknown if the rate of iodine has been checked here. Other antioxidants exist in the form of green tea, resveratrol and acai. Also raspberry ketones and African mango are both intended to increase metabolism. Finally dehydrated caffeine is added equivalent to a cups worth of coffee per serving. This is a potentially risky addition as 2 pills means essentially 2 cups of coffee daily which has been shown to potentially increase the rate of harmful side effects. Found here are a full host of supplements for weight loss that do not feature caffeine. Features some unique ingredient such as raspberry ketones, African mango and apple cider vinegar. Too many customers have added they did not like the results either because none came or they experienced side effects. The company adds that this product will safely reduce weight up in the time span of 4 to 6 weeks without adding how much expected weight loss is said to occur. At the very least they could have published the results in where they noted this was the time frame for weight loss. Over 960 negative reviews exist of people adding they either did not lose weight, or that the side effects had them feeling flu like symptoms. This potentially means headaches, nausea, fluctuating energy, restlessness, increased heart rate and sweating. Still one has to add diet and exercise to the table which will further cause dedication. With many negative and positive reviews it still should be observed fully. You can decide for yourself if it is any better than the other options for weight loss. Without knowing about the company itself there is too much involved risk. Also there is so many negative reviews that it calls into account what kind of expectation one is to have. There exists more favored brands that are here to reduce weight. One benefit here is that there is a lot of opinions about this product to verify what is possible. To gain the results needed for fast weight loss you now have access to all the highly ranked and now available weight loss brands.